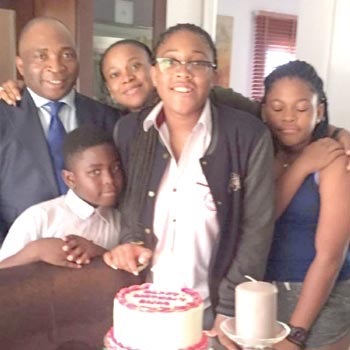 There is a new twist in the circumstances surrounding the death of Nigerian-born Managing Director of Guaranty Trust Bank in Liberia, Mr. Daniel Orogun, who was allegedly murdered in cold blood by an associate who invited him and his family to dinner on January 24, 2016. 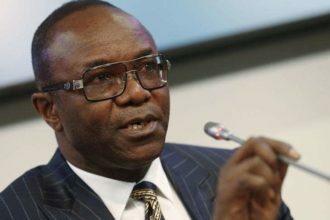 It was learned that contrary to information received after the incident that Mr Daniel Orogun was celebrating his anniversary on a boat cruise, investigations, according to close family sources, revealed that a client of the deceased invited him to his seaside mansion where the unfortunate incident occurred. According to CityScoop, the client has been inviting the deceased and his family to his seaside mansion home for dinner but he could not honour it. However, it was gathered that in November last year when the banker wanted to honour one of such invitations, he failed again after he accidentally injured his thumb on his car door while preparing to honour it. 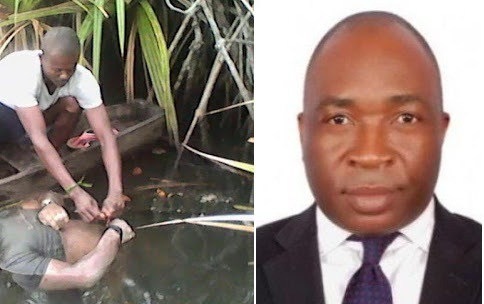 Elder brother to the deceased banker, Felix Orogun who spoke with Crime Alert narrated how the ugly incident took place. He said he led a family delegation to Liberia after receiving the sad news of the death of their brother. “On getting to the house of the host, he offered us drink but Dan went into his vehicle and brought a bottle of the drink he brought from home. After a while, his host said we should all go for a boat ride and return for dinner. He took us to the boat, not knowing that there was no life jacket. We were eight in the boat — my husband and I, our three children, our host, Mr. Kailondo and two others. A diver named Michael was also following us on a Jet Skii, while our host was in charge of the helm. Before we set out on the calm river, I asked for safety procedure and life jacket, but was shocked when our host said there were no life jackets but we were assured that there was no problem and that experienced divers were with us. It was too late for any of us to get out of the boat because as soon as I raised the question about life jacket, our host, Mr Kailondo quickly moved the boat from its moorings. While we were inside, Michael the diver was displaying some acrobatic as he followed the boat with the jet skii, two other divers were seated at the nose of the boat. When we got to a point, our host suggested that we should ride into the high sea. Dan and I rejected the idea. We then stopped, relaxed and were chatting while Dan was responding to news on the football game going on through his phone. Music was going on in the boat. Dan was at the back seat. Our host took a bottle of whisky, emptied part of it into Dan’s cup, luckily he saw it and challenged him by asking whether he has forgotten that the cup was his. I made sure he did not drink from the cup again. “While everyone was relaxed, our host was watching my husband and dancing at the same time. All of a sudden and unexpectedly, he started the engine with very high speed and made an almost 360 degrees anti-clock wise turn with the boat. While the children and I fell inside the boat as we lost balance, my husband fell off the boat into the river. Michael, the diver that was following the boat on jet Skil was suddenly no longer in sight. Surprisingly, the young men that were sitting on the nose of the boat did not fall inside the river, which shows they were expecting such a move. Instead of our host to stop, he rode away for a few minutes while the children and I were screaming for him to go and get their father. He reluctantly turned the boat to go and meet him, and he put-off the engine midway. In the meantime, my husband was swimming towards the boat, while I was fighting hard to prevent the children from jumping into the river because they wanted to go and rescue their father. I cried and pleaded with our host to go and assist my husband while the children were crying. I also pleaded with the two young men who were sitting on the nose of the boat to throw the rescue rope to my husband but they refused and suddenly claimed that they could not swim though our host introduced them at the onsets as divers. All this while, Michael the diver who was following the boat was nowhere to be found. I had to start calling for help with my phone when I saw the way things were going, I called for help from outside. The distraught family members of the deceased further alleged that when questioned after the lifeless body of the banker was found three days later at the scene of the incident, their host simply attributed it to witchcraft. He also appealed to Liberian Director of National Police, Mr Clarence Chris Massquol, who is alleged to be an in-law to the man that hosted the bereaved family, George Kailondo and the main suspect, not to allow marital ties to succumb to the pressure that this relationship will exert upon his office.